Amsterdam The Netherlands February 2017 Winter in Amsterdam. Snow on the Museumplein. With hills not in abundance people sledge from the grassed over "ezelsoor" roof next to the Stedelijk Museum. hd00:07Amsterdam The Netherlands February 2017: Winter in Amsterdam. Snow on the Museumplein. 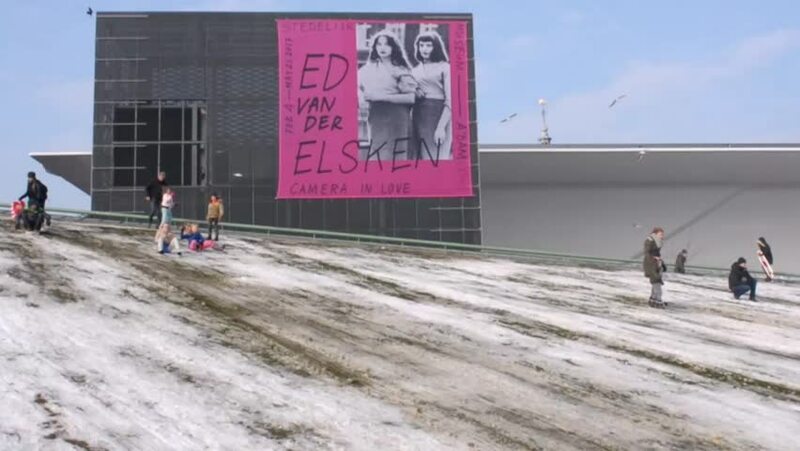 With hills not in abundance people sledge from the grassed over "ezelsoor" roof next to the Stedelijk Museum. hd00:14Krasnoyarsk, Russia-March 06 2019 : view of the square of the Mira in the days of the Universiade.